The D.C. police has issued a statement urging residents to “refrain from dialing 911 to report suspicious activity for merely utilizing bikeshare services." At various public meetings, police have noted “frustrations with the placement of dockless bikes,” one spokesman said. 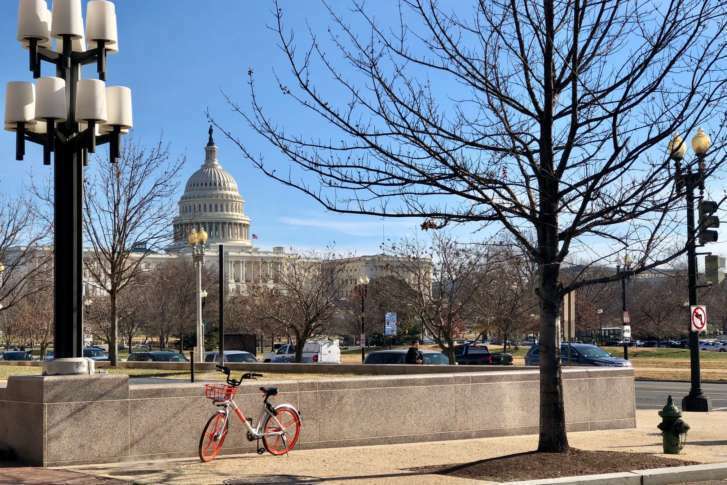 WASHINGTON — No; it’s not a crime to use a dockless bike in Georgetown. Or anywhere else in D.C., where five companies now offer bikeshare options. But the D.C. police found itself issuing a statement urging residents to “refrain from dialing 911 to report suspicious activity for merely utilizing bikeshare services,” after posts appeared on a Georgetown local listserv by a resident urging neighbors to report bike users to police. The posting was first reported by WAMU, which noted that one poster even recommended urging D.C.’s attorney general to investigate. Officer Sean Hickman said it would be difficult to capture the total number of complaints logged by 911, but said at various public meetings, police noted “frustrations with the placement of dockless bikes” since D.C.’s Department of Transportation started its partnership with dockless bike services such as LimeBike, Ofo, Mobike, Jump Bikes and Spin. Unlike Capital Bikeshare, dockless bikes can be left anywhere, as long as they don’t block rights of way. One dockless bike service, Jump Bikes, includes hardware so that the bikes can be secured to a standing object, the same way privately owned bikes can be locked at bike racks.